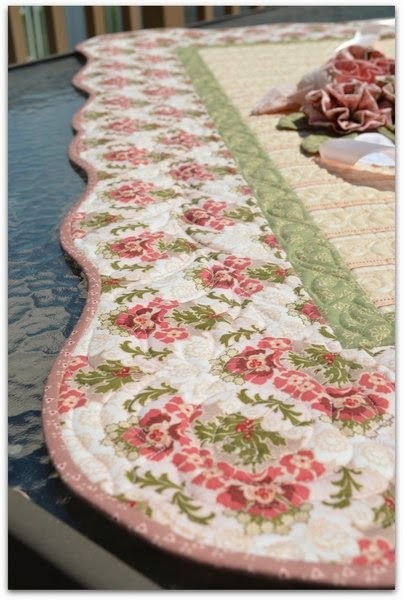 There are times when a quilt calls for a fancy, curvy edge! Here's a little tutorial about how to achieve long, smooth curves when applying binding to a curved border. Now, sometimes all a quilt needs is a little curve around the corners. I like to add a little dip after the curve, not much, about a 1/2" little dip, with straight binding in between. 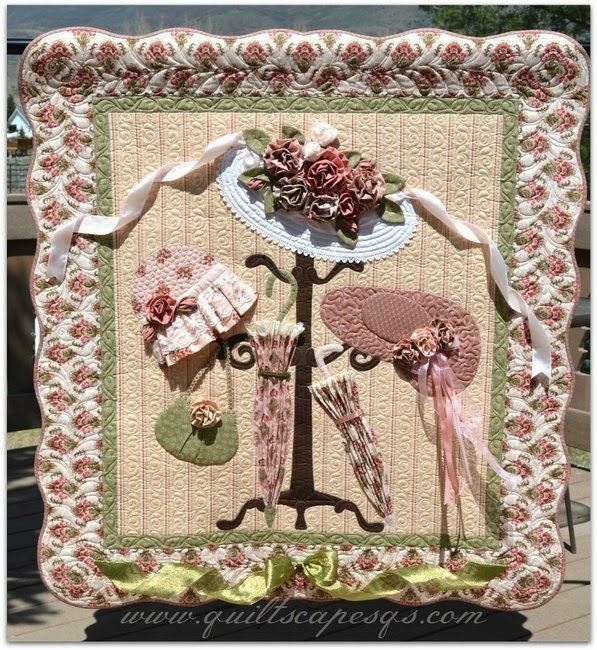 It somehow frames the quilt without a whole lot of effort, and looks so sweet! First, MARK your desired curves using a removable marking pen. My favorite is an iron-off Pilot Frixion pen. Use a circle template/ruler or grab a bowl, plate or pan lid to mark the curves. ↑↑ Check out that perfectly curvy shadow! 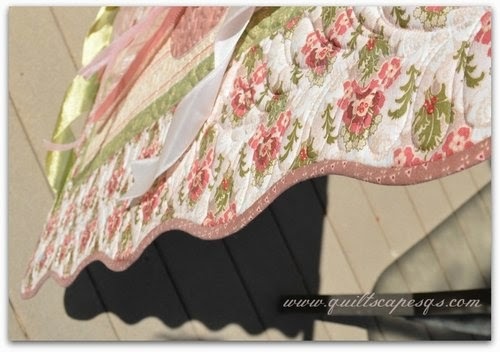 In this case, I fussy-cut and pieced the border fabric, then centered each border on the quilt and mitered the corners (<< click to see tutorial). Be sure to MARK the scallops or curves on the quilt prior to quilting. Then, BASTE the quilt right on the marked lines. 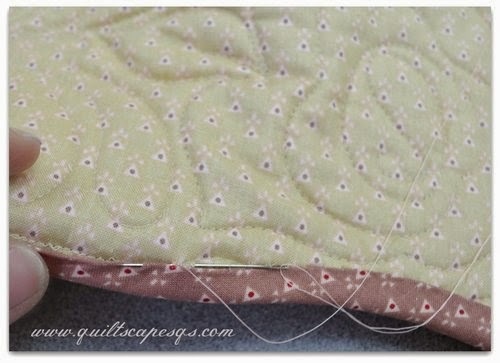 Once quilted, TRIM the quilt a scant 1/4" from the marked/basted line. Now you're ready to bind! Determine the amount of fabric needed for your quilt. 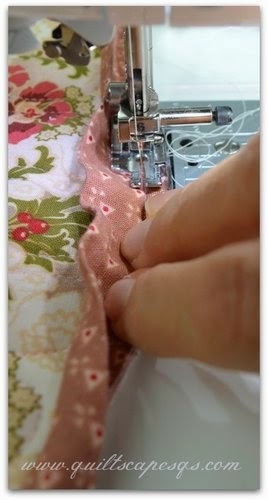 I use a minimum of 5/8 yard, which produces 30" strips when cut on the bias, and yields enough bias binding for a full size quilt. If my quilt is smaller, I'll just save the extra for another project. 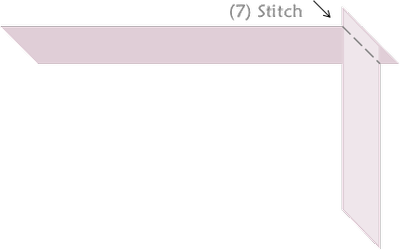 Here's a chart for yardage needed to produce 2" binding strips. Any larger than 2" strips for the binding will make it a little more "klunky" - that is, less smooth around the curves. Note: 5/8 yard will produce fifteen 2" wide x 30" long strips. That's about 450 linear inches of binding yardage! 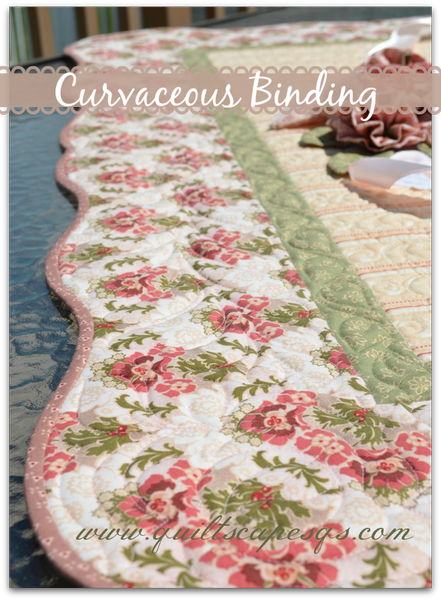 Prepare your binding as indicated in this Bias Binding Tutorial. First, TRIM off selvages and SQUARE UP binding yardage. 1) Lay out fabric wrong side up, selvage edges at the sides. FOLD left corner up to the top edge at a 45-degree angle. Allow selvage edge to overhang by about 5/8". Finger press to crease. 3) Unfold the cut triangle and MOVE the piece to the opposite end of fabric. PIN selvage edges, right sides together. 4) STITCH using a 1/4" seam allowance. PRESS seam open. Your binding piece should now resemble a parallelogram. 5) Next, FOLD the upper left point of fabric down along the diagonal cut edge, keeping raw edges aligned. Repeat on the opposite side by folding the lower right point up along the diagonal edge. Keep folding into a roll as needed to fit on your cutting mat. 6) ALIGN folded roll along a horizontal line on your cutting mat. TRIM end evenly, then SLICE into 2" segments. 8) TRIM seams to a scant 1/4”; PRESS seams open. PRESS binding in half, lengthwise, then fold to store until needed. See video HERE. 9) STITCH binding to the quilt front, aligning raw edges together. For best results, stretch the binding slightly on inner curves, and ease around outer curves. Use a stiletto or your fingers to help ease the binding under the needle, especially around tight curves. 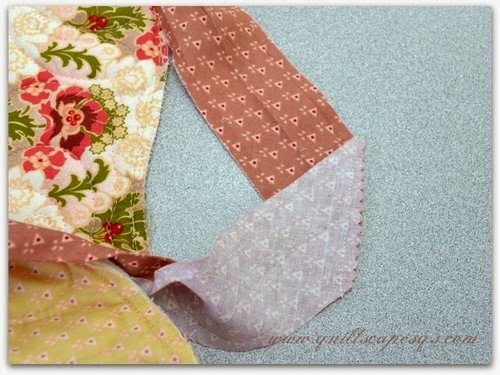 10) JOIN binding ends together with a final diagonal seam. It works best if you pick a gentle slope to create that final mitered seam. TRIM (yes, I use pinking shears to help reduce even more bulk), PRESS seam open, then refold and continue stitching, overlapping the beginning stitches. 11) FOLD binding around to the quilt back, then HAND-STITCH to finish, matching thread with the binding. Pattern is now available on my Craftsy store! ↑ Click for the link. Want to be notified of more "Quiltscapades"? Subscribe via email (sidebar), follow Quiltscapes on facebook, or send an email (deonn@quiltscapesqs.com). 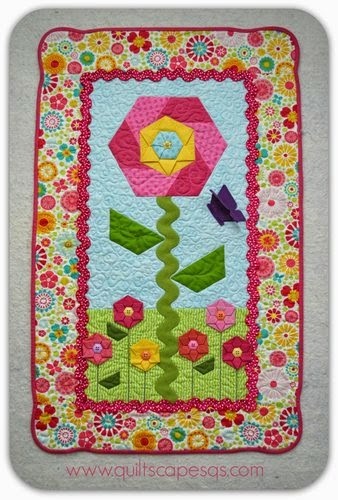 I just can't look at that little quilt enough...GORGEOUS! Очень нежный квилт! И невероятно стильный! I love all the curves and Isabella's Bonnets is absolutely gorgeous!